Teachers For Social Justice: This Saturday: ItAG Finale @ Marwen! Join us for the wrap-up of TSJ's 3rd annual Inquiry-to-Action Groups! Educators from around the city have been meeting for 8 weeks to collectively study and plan actions around issues of social justice and schools. Come hear them reflect on their learning and plans. Hear report-backs from the groups focusing on Youth Activism, Anti-Military Recruitment in High Schools, Queer Issues in Education, The Community Writing Project, and Science/Speculative Fiction and Social Justice. 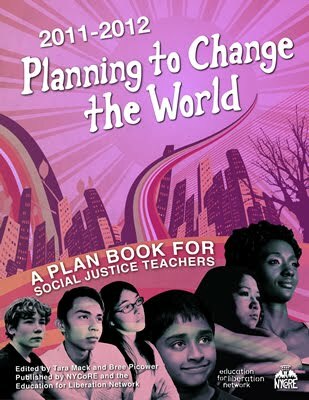 More information at http://www.teachersforjustice.org/2012/01/2012-inquiry-to-action-groups-itags.html. This is a pot-luck so please bring a dish to share. Saturday March 17; 5:30-7:30 p.m. This is an accessible space. Childcare available through the Chicago Childcare Collective (please email chichildcareco@gmail.com if you're interested).